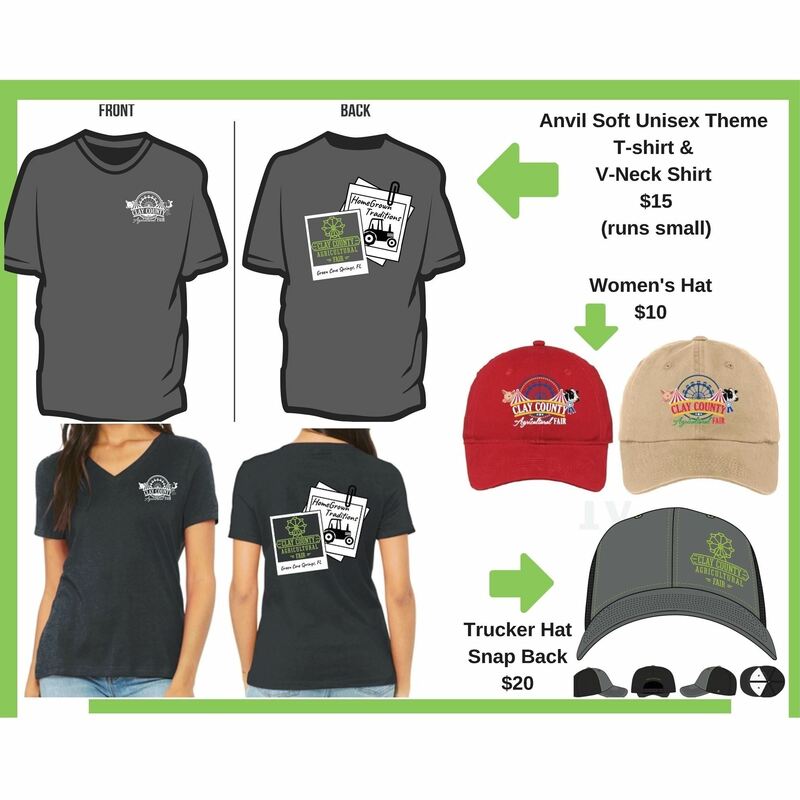 Welcome to our Clay County Agricultural Fair 2019 Online Store. The items for sale are being sold as a pre-sale... This means the ordering window will be open to March 1, 2019. Once the ordering window has closed, all purchased items will be produced, and the items will be delivered to the Fair Office, March 22nd. Wear your fair gear proudly!!! Thank you for supporting the Clay County Agricultural Fair! !